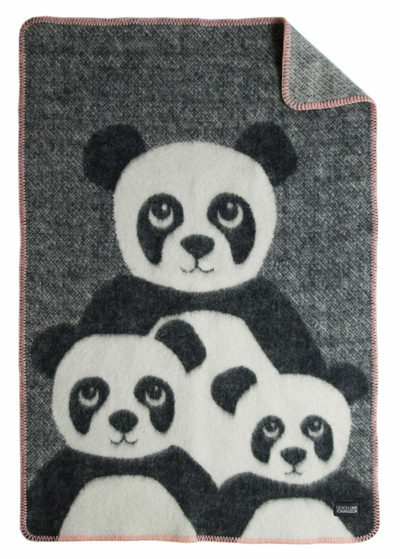 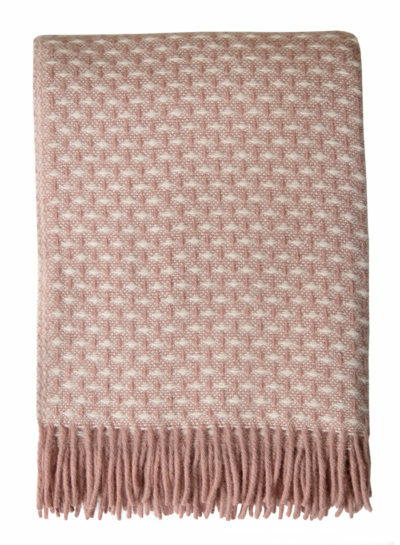 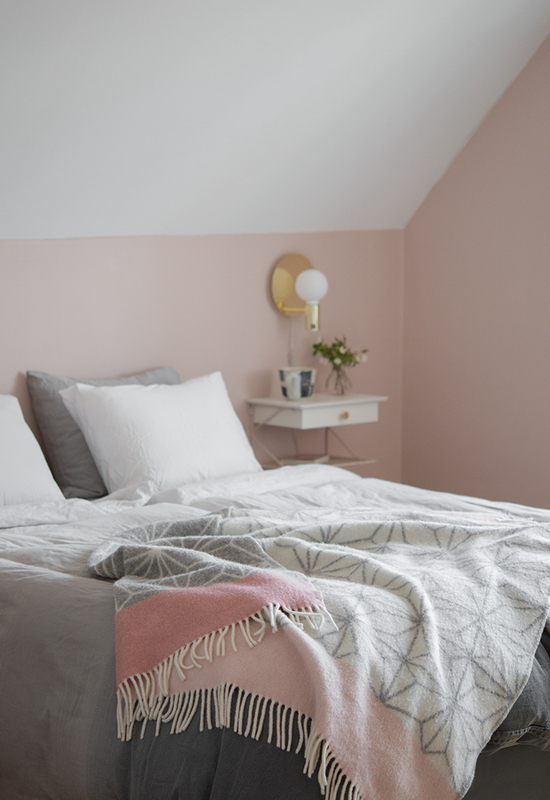 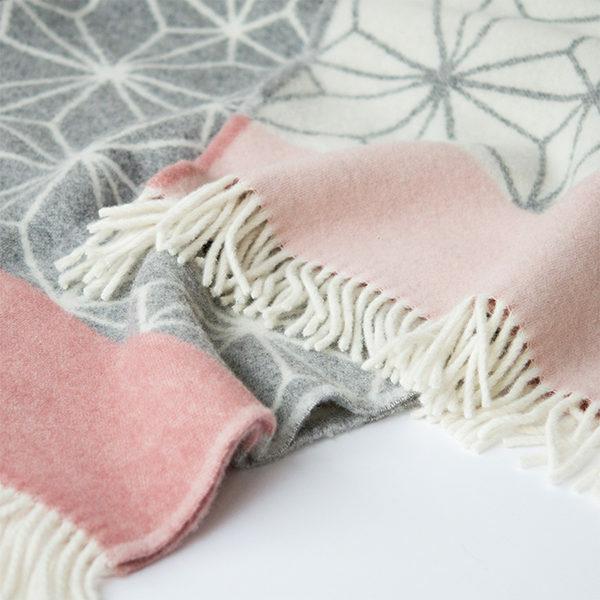 A soft and gorgeous 100% wool blanket to toss over your couch or bed. 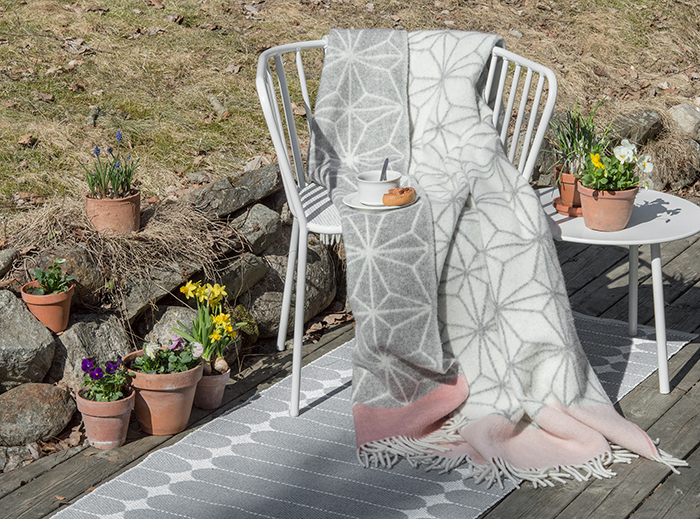 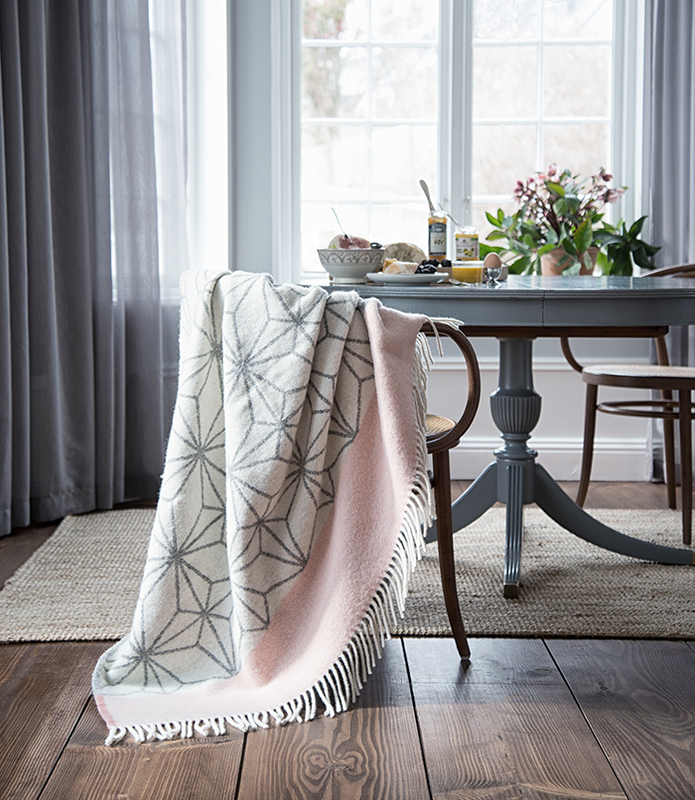 Soft pastels and a contemporary geometric pattern give the Tindra blanket a modern Nordic look. 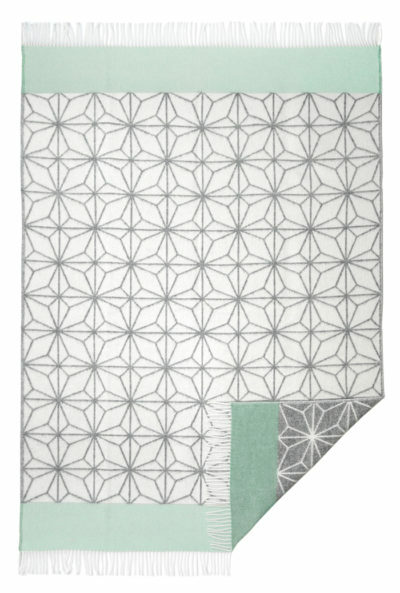 The colors are inverted on the opposite side. 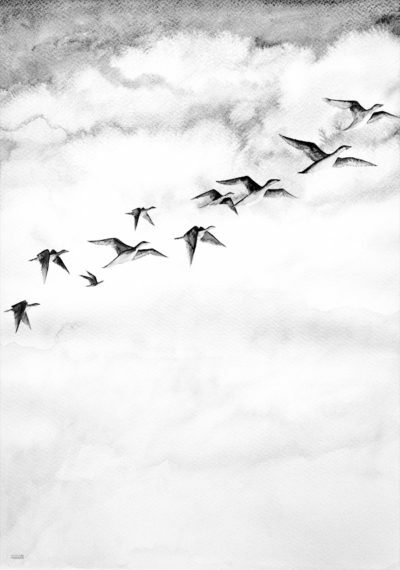 Grey predominates on one side, white on the other. 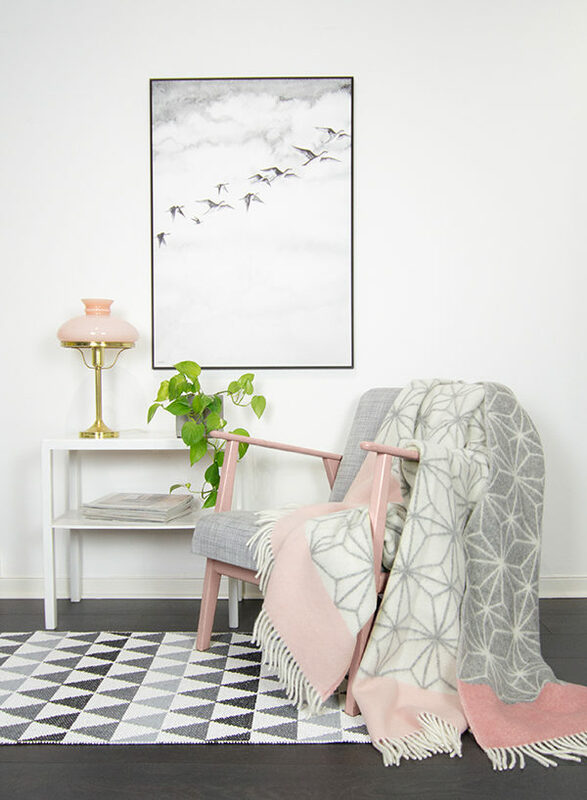 Choose which side you want to show off!